Manchester City did not concede any goal in their last 4 away matches in Premier League. Bournemouth have lost their last 4 matches in Premier League. Brighton & Hove have scored in each of their last 7 matches in Premier League. Cardiff City have lost their last 4 away matches in Premier League. 32% of Watford’s conceded goals occurred after the 75th minute in Premier League. 62% of Huddersfield’s conceded goals occured in the first half in Premier League. 79% of Bournemouth’s matches had over 2.5 goals scored in Premier League. Crystal Palace have scored in 71% of their away matches in Premier League. West Ham Utd have lost 57% of their home matches in Premier League. Cardiff City conceded at least 1 goal in each of their last 11 matches in Premier League. Watford conceded at least 1 goal in 71% of their home matches in Premier League. Manchester City have won their last 6 matches in Premier League. West Ham Utd conceded at least 1 goal in 86% of their home matches in Premier League. Manchester City have been undefeated in their last 14 matches in Premier League. Cardiff City have scored 31% of their goals after the 75th minute in Premier League. Manchester City did not concede any goal in 83% of their away matches in Premier League. 83% of Manchester City’s conceded goals were conceded at home in Premier League. Bournemouth conceded at least 1 goal in 71% of their home matches in Premier League. Huddersfield have scored 44% of their goals in the first 15 minutes in Premier League. Cardiff City have conceded the opening goal in 79% of their matches in Premier League. 71% of Crystal Palace’s matches had under 2.5 goals in Premier League. Huddersfield have scored 78% of their goals in the first half in Premier League. Manchester City have been undefeated in their last 6 away matches in Premier League. Huddersfield have scored in 83% of their away matches in Premier League. 91% of Cardiff City’s points have been earned at home in Premier League. Amiens conceded at least 1 goal in 86% of their home matches in Ligue 1. Montpellier have scored 2 goals or more in each of their last 4 home matches in Ligue 1. Amiens have scored in 100% of their home matches in Ligue 1. 79% of Monaco’s goals have been scored in the second half in Ligue 1. Nice did not concede any goal in their last 5 matches in Ligue 1. 41% of Amiens’s conceded goals occurred after the 75th minute in Ligue 1. Nice have failed to score in 57% of their home matches in Ligue 1. Angers have scored in each of their last 7 matches in Ligue 1. 73% of Nice’s matches had under 2.5 goals in Ligue 1. Angers have scored in each of their last 6 away matches in Ligue 1. Nice conceded at least 1 goal in 71% of their home matches in Ligue 1. 33% of T. de Córdoba’s conceded goals occurred in the first 15 minutes in Primera Division (Argentina). 62% of Defensa y J.’s conceded goals occured in the first half in Primera Division (Argentina). Defensa y J. have scored 31% of their goals after the 75th minute in Primera Division (Argentina). de Córdoba did not concede any goal in their last 4 matches in Primera Division (Argentina). 77% of T. de Córdoba’s matches had under 2.5 goals in Primera Division (Argentina). Racing Club have won 67% of their away matches in Primera Division (Argentina). 38% of Defensa y J.’s conceded goals occurred in the first 15 minutes in Primera Division (Argentina). Racing Club did not concede any goal in 67% of their away matches in Primera Division (Argentina). 33% of Huracan’s conceded goals occurred after the 75th minute in Primera Division (Argentina). Defensa y J. have been undefeated in their last 12 matches in Primera Division (Argentina). Racing Club have scored in 100% of their away matches in Primera Division (Argentina). 75% of Defensa y J.’s conceded goals were conceded at home in Primera Division (Argentina). Defensa y J. did not concede any goal in 83% of their away matches in Primera Division (Argentina). Racing Club have scored the opening goal in 85% of their matches in Primera Division (Argentina). Defensa y J. have been undefeated in their last 6 away matches in Primera Division (Argentina). Huracan have scored 31% of their goals after the 75th minute in Primera Division (Argentina). 75% of Defensa y J.’s matches had under 2.5 goals in Primera Division (Argentina). 69% of Chateauroux’s matches had under 2.5 goals in Ligue 2. Béziers have failed to win in their last 6 home matches in Ligue 2. Le Havre conceded at least 1 goal in each of their last 7 matches in Ligue 2. 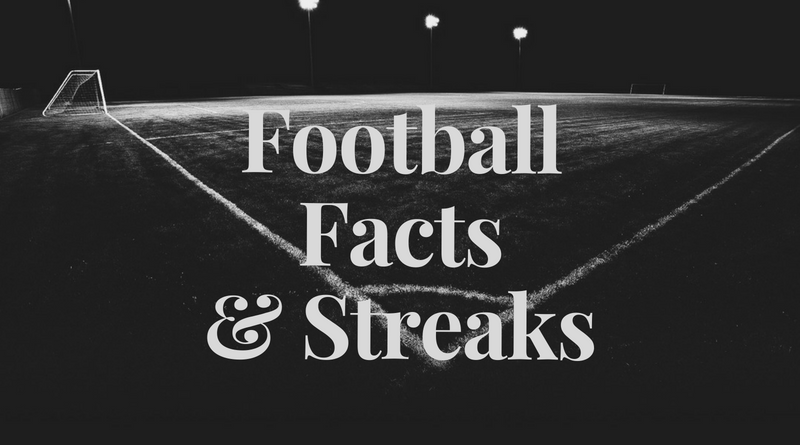 AC Ajaccio have failed to score in 50% of their home matches in Ligue 2. 69% of Nancy’s matches had under 2.5 goals in Ligue 2. Nancy have scored in each of their last 5 away matches in Ligue 2. 81% of Béziers’s matches had under 2.5 goals in Ligue 2. Grenoble have been undefeated in their last 4 away matches in Ligue 2. 69% of Le Havre’s matches had under 2.5 goals in Ligue 2. Le Havre conceded at least 1 goal in 88% of their home matches in Ligue 2. Béziers conceded at least 1 goal in 83% of their home matches in Ligue 2. 62% of Le Havre’s conceded goals were conceded at home in Ligue 2. Le Havre conceded at least 1 goal in each of their last 6 home matches in Ligue 2. 31% of Le Havre’s conceded goals occurred after the 75th minute in Ligue 2. Chateauroux did not concede any goal in 62% of their away matches in Ligue 2. 69% of Grenoble’s matches had under 2.5 goals in Ligue 2. Béziers have failed to score in 50% of their home matches in Ligue 2. Chateauroux did not concede any goal in their last 3 away matches in Ligue 2.